An extension is an excellent way to not only to increase the available living space or usable space within your property, but it can also add to the value whenever you are ready to sell it. When it comes to choosing the materials to construct your extension from, there are some that work better than others! You may have already considered oak, if you haven’t, we might be able to sway your opinion. 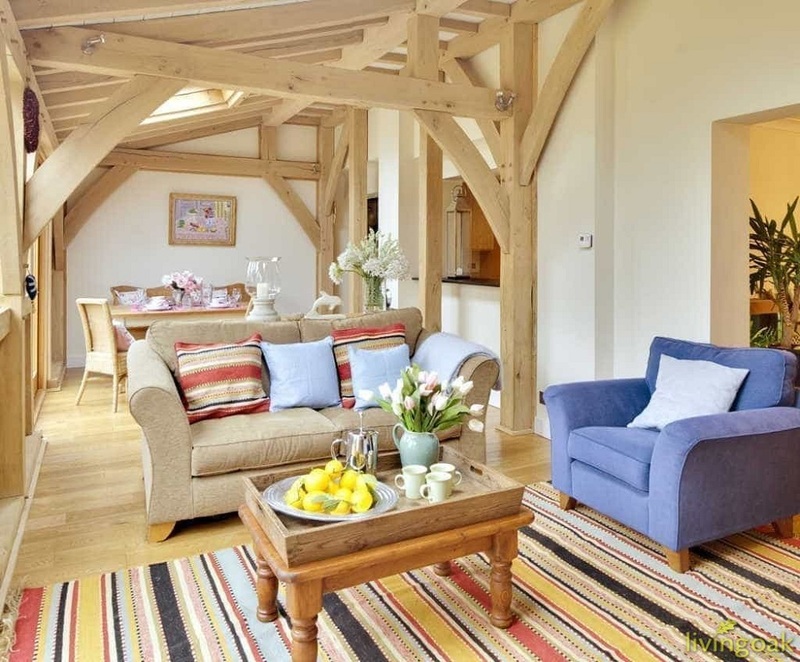 In the following article, we will look at five reasons why we believe an oak framed extension isn’t the best way to go, but the only way to go. Rich in colour and very high quality, oak can bring a very distinct character to your property. The wood grain is one of the most attractive, particularly if it has been quarter-sawn. 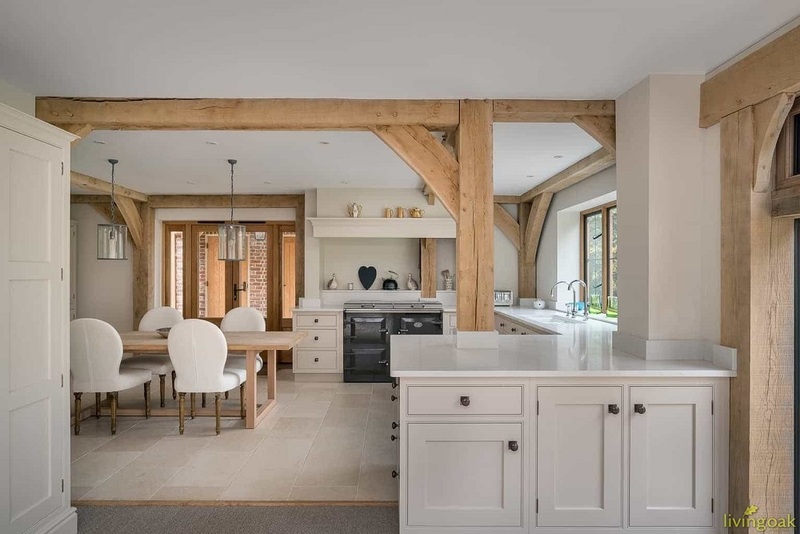 If you opt to have exposed beams in parts of the construction, it can also bring a rustic and old-fashioned look to your property – without losing a sense of elegance and sophistication. There are more than 500 different kinds of oak that can be found in various parts of the world. However, there are three characteristics of this timber that they all share. These characteristics are that oak is highly resistant to moisture, strong and incredibly durable. When it comes to foundations and support beams, there are aren’t many types of woods that can compare with oak. This is why it is a popular material to use by carpenters and builders. Oak frames will survive despite exposure to various elements for many years into the future. Oak is commonly used in the construction of buildings. However, oak is actually very versatile and has been used in a number of different ways, from furniture to shipbuilding. This is because it is resistant to pests, fungus and rot and because of its inherent strength. Furthermore, it has the advantage that it does not require much in the way of maintenance. There is a good reason that oak continues to be a popular and commonly used material in all manner of construction. This is thanks to the popular qualities mentioned in this article and the fact that it is widely available, especially in the UK. The problem is that although you can regrow any type of tree, you can’t replace an entire forest once it disappears. Besides that, not all timber is harvested using responsible and renewable manner. Because of this and the problems of deforestation, we should all be doing all we can to be responsible for the purchase choices we avoid contributing to the problem. Oak can be found from sustainable sources and because of its high cost, it is not over-used beyond what can be supplied. It is a premium material, so is only used when it can be noticed and appreciated. Trees spend all their life absorbing the CO2 from our atmosphere and then releasing oxygen back. That carbon remained captured within the trees, and it stays there for the rest of time it is used, even when constructed into frames for extensions and other building projects. Green oak is also easy to use. Unlike other materials, oak does not require a large volume of fossil fuels in its production. It also does not require chemical treatments before using it which can be dangerous for the environment. There is also no need for a whole lot of industrial reprocessing. All of this makes oak the ideal choice if you are trying to build something more eco-conscious compared to using the likes of concrete and brick. As you can see, there are many great reasons why oak is the perfect material for your extension. Not only does it look great, with its rustic charm, it is also incredibly robust and durable and will last for a long time into the future. Therefore, if you are looking to get a return on your investment, oak can do it. Regardless of why you need it or the plans you have in mind, oak can be used in a versatile way and unlike other materials, it is sustainable and using it if done thoughtfully, is less harmful to the environment.